Once upon a time, a band could name itself after a 19th century Austrian modernist poet without coming across precious. The members of a band could sing about talking about the last time it felt right to make out, and nobody would laugh. Twenty years ago, irony was already sweeping through underground rock music like a purifying plague, but sensitive, tortured kids who wore their collective heart on their sleeve could still take themselves seriously without flaunting their self-consciousness. It wasn’t cool, exactly, but it wasn’t perilously uncool either, especially when the band was great. Rainer Maria were great. From where I was sitting they were among the very best bands of that late-’90s moment when emo felt like the most exciting thing on the indie rock landscape, when kids were still figuring out how to fuse the headlong abandon of punk rock with the thoughtful, allusive intricacy of indie rock without trying to fit into an established mold. Rainer Maria were great because they could sing in grandiloquent, self-serious journal-poetry scribbles — “And I’m certain if I drive into those trees / It would make less of a mess than you’ve made of me” — with all the urgency that those feelings demand. They were great because they figured out ways to turn post-Slint tension-and-release dynamics into impactful, resonant three-minute epics. They were great because, onstage, they turned their roiling, internal churn into big, physical party music, sliding across stages and throwing themselves around rooms. And now they’re back, and they’re great again, for different reasons. 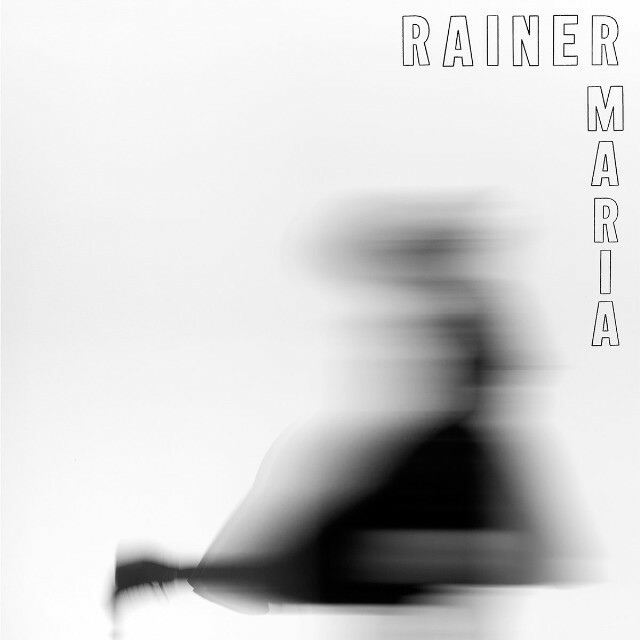 The new S/T — it’s not self-titled; it’s just called S/T — is the first Rainer Maria album in over a decade. They broke up in 2006, shortly after some music-industry types who were attempting to launch a new label put a bunch of money behind Catastrophe Keeps Us Together, their last album, possibly in the hopes of developing another Dashboard Confessional. They’ve been busy in their time apart. Both Caithlin De Marrais and Kaia Fischer, the band’s two co-leaders, have released solo records. Fischer studied Buddhism, lived in Thailand, and came out as trans. (Back in the day, Rainer Maria were one of the few emo bands to include a prominent female voice. It turns out that Rainer Maria actually included two prominent female voices; we just didn’t know it at the time.) Drummer William Kuehn gigged around as a drummer-for-hire, and he did some of that in Syria and Yemen, where he was living. I used to wonder about Rainer Maria’s internal dynamics, first when De Marrais and Fischer were a couple, and then when they were an ex-couple. These days, I wonder even more. These three people have all lived lives. They must have so much to talk about. And they don’t sound like kids anymore. Back when they recorded 1999’s mostly perfect Look Now Look Again, Rainer Maria’s sound was built on the push-pull interplay of De Marrais and Fischer. De Marrais, tremulous but tough, was the band’s focal point, but their songs still sounded like conversations. There were pauses and hesitations and parts where you couldn’t be entirely certain that they were hearing each other even though they both needed to be understood. On S/T, De Marrais is even more the center of the band’s sound, and she carries herself vocally like a total grown-up now. There’s a focused badassery to her vocals that wasn’t there before. She doesn’t linger anymore; there’s no hesitation in her delivery. She’s still singing about tangled relationships and vulnerability — “You just want to eat my heart out / I might let you” — but the way she delivers those lines projects absolute strength. There’s also strength in the way these three people are playing together. On many of the biggest songs here, they sound like a machine, a big pumping rhythmic piston. Keuhn produced the album himself, and he’s brought a sense of enormity to their sound; the moment that “Suicides And Lazy Eyes” crashes headlong into “Lower Worlds” is one of the most exciting moments I’ve heard on a rock album in a long time. In their first iteration, Rainer Maria never exactly sounded like a power trio, but that’s what they are now. There are songs, like “Forest Mattress,” where you can hear echoes of the old tangle of their sound, but they’re mostly gone. Instead, they’re more likely to hit us with something like “Blackbird,” a song that sounds like an anthem even if the lyrics (“What I am is what I always was / Even pawns can take the queen”) are a bit opaque. Like every Rainer Maria album, S/T is a short and intense piece of work, nine songs in 36 minutes. They’ve been thinking about and honing these ideas for a long time; some of the songs are built from old sounds they they put on a MiniDisc 15 years ago. But all of it sounds fresh and urgent and new, like the work of a band that’s finding itself in entirely new ways after all that time apart. It’s a big, sleek, forceful rock album from a group who never really made big, sleek forceful music before. I loved the raw prettiness and the tiny personal apocalypses of Rainer Maria’s old records, but I’m so happy to see that they’ve let those go, that they’ve moved onto something else. S/T represents a total reinvention, and a completely successful one. Rainer Maria are, once again, one of the best bands in the world. They’re just a very different band now. S/T is out 8/18 on Polyvinyl. Stream it at NPR. • Grizzly Bear’s lush return Painted Ruins. • A$AP Ferg’s guest-heavy mixtape Still Striving. • Cloakroom’s bruising shoegazer Time Well. • Loretta Lynn’s still-going-strong Wouldn’t It Be Great. • Shelby Lynne and Allison Moorer’s collaborative album Not Dark Yet. • Former Makthaverskan guitarist Guggi Data’s solo debut POP/ROCK. • UNKLE’s vibe-heavy The Road Part 1. • Former Kings Of Convenience member Kommode’s solo debut Analog Dance Music. • The benefit compilation Philia: Artists Rise Against Islamophobia. • UV-TV’s Go Away EP. • Samantha Urbani’s Policies Of Power EP. • Inc. no world’s Living EP. • House Of Feelings’ Last Chance EP.